Your home holds everything you treasure. 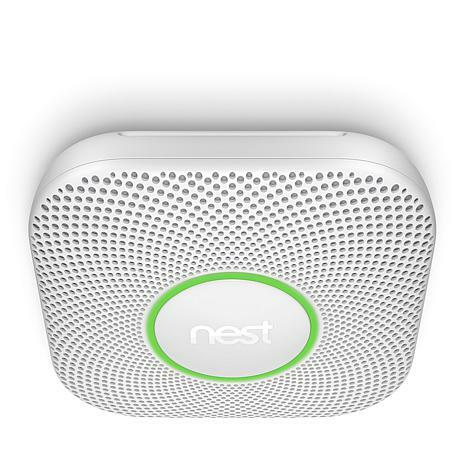 You can rest easy knowing the Nest Protect smart smoke alarm has your back, monitoring for smoke from slow-burning or smoldering fires and for invisible carbon monoxide. 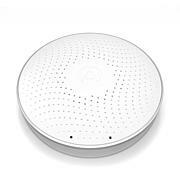 Then it alerts you out loud at home and wirelessly when you're out. 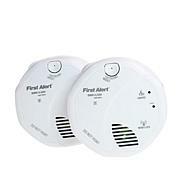 It even lets you know where the smoke or CO is located so you can respond appropriately. 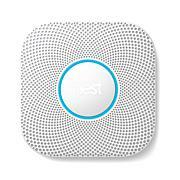 Don't trust your home to anything less than Nest. I saw this unit and it makes better sense to have this than the others that are out there. 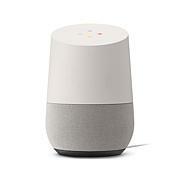 It is connected to my wifi and will alert me on my phone if I am not home. The night light is just bright enough to light a path in the hall and not bright enough to wake you up. Got a coupon code from HSN, so decided to buy this, had my eye on one for while but didn't want to spend $119. The product is smaller than I thought, which is good thing. Also, lights up at night which is cool feature. Works well with the Nest app. We love it was just what we were looking for with a toddler in the house it's a piece of mind. Plan on ordering 2 more flex pay is wonderful way for us to do this. So simple to set up. Great peace of mind being able to check when not at home. Will be buying more.